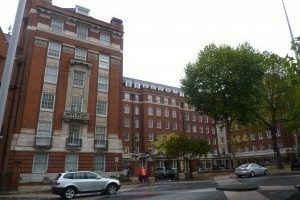 Tim Greenwood & Associates were appointed as Lead Consultants and Project Managers in relation to the decentralisation of heating and hot and cold water services to the 42 apartments of Princes Gate Court. This 1936 block suffered increasing problems of leakage from heating, hot and cold services resulting in great disruption to the lessees and an increasing number of costly insurance claims. The original services rose in four or five risers through each flat. A new boosted cold water service was installed to the rear service stairwells, and thereafter a programme was presented to the lessees for the changeover from communal to independent services. This included connection of each flat to the new boosted cold water service, and the installation of independent boilers to each flat to provide their own heating and hot water. Tim acted as landlord’s surveyor in approving lessees’ proposals for works inside their flats, whilst liaising with the block’s mechanical consultant and lessees’ contractors. This enabled him to provide guidance to individual leaseholders on how works could be undertaken with minimal disruption to individual flats, avoiding the need for wholesale refurbishment of flats or disruption of internal finishes. This programme was implemented over a four year period and all lessees were provided with independent services by the target date of September 2013.